TeamViewer is a great tool for remote access to Windows, Mac and Linux. This free and easy to use remote access tool can be helpful, but it can also be a little slow and somewhat awkward. However, there are some things that can be done to make the experience better if you want to use TeamViewer. Optimizing the visual and speed settings is a must for users to get the best experience. Whether they are using it for their remote access to their own home computer or they are using it to access a client’s computer for tech support, it is important that they have the speed necessary to get results as quickly as possible. When users tweak the settings, it is not difficult to get the results desired using TeamViewer, even though it is a free product. For the best results and most ease of access, it’s recommended to have a TeamViewer account. If users do not have an account with TeamViewer, they will be given a random user ID and password each time that they attempt to access the computer of their choice. When they have a TeamViewer account, it makes it possible to quickly and easily access their computer at anytime from anywhere. One of the things that makes TeamViewer a much-desired program is that users can transfer files from one program to the other. This can either be done while remotely controlling the computer or it can be done just through the file transfer option. If the user needs to record what they are doing when using the TeamViewer program, this is easy to do. There are options on the toolbar that are easy to understand and select so the whole session can be recorded. This is especially helpful whenever doing tech support in case the tech support person wants to provide the client with a recording. 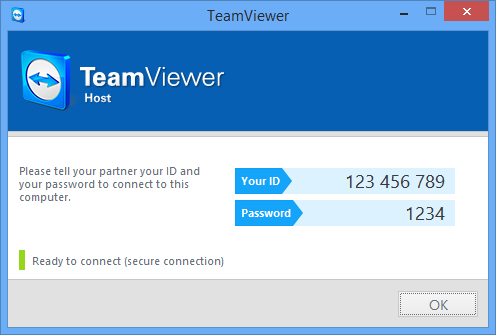 Is TeamViewer a Good Choice for Remote Access? Once the settings have been tweaked within TeamViewer and the user fully understands its functionality, it is a great option for remote access. Since it is free, there is no need to increase the budget to incorporate its benefits and it is considerably easy to learn to use. This means that tasks can be completed quickly and remotely if necessary and with no added expense. This makes TeamViewer a perfect option for most people and companies.